Vantel Pearls Review – What Is Vantel Pearls About? When I was kid my Mom used to host parties where she would invite friends and family over to look at, and potentially buy various knick knacks and home decor. Nobody really ever bought anything and my Mother soon stopped having the parties. I didn’t realize it at the time, but my Mother was trying her hand at a multi-level marketing program. Vantel Pearls is a multi-level marketing system that sells pearl jewelry. Vantel Pearls uses a very modern old-fashioned system of selling their jewelry. Mainly through parties and direct sales. Remember those old Tupperware parties that your grandma used to go to? Yeah well Vantel Pearls is like that, minus the Tupperware. In my opinion there isn’t a whole lot that sets Vantel Pearls’ jewelry apart from the competition. In this day and age with online shopping a click away, I can see how difficult it would be for Vantel Pearl distributors to make money. If you decide to sell with Vantel Pearls, you will be hosting parties and possibly making some direct sales. Its important to have a good amount of connections if you hope to be successful with your parties. After all, its hard to make a sale if nobody is there. Browsing through the Vantel Pearls selection I think some of the jewelry looks nice. Not for me of course (male) but I think that it some of it could look good on woman. There is a pretty vast selection of products, which is good. The more variety that you can offer, the greater chance you have at repeat customers. One of the things I find interesting about Vantel Pearls, is that they decided to hone in on the pearl jewelry niche, opposed to just jewelry in general. Maybe a woman can bring me up to date with current fashion trends, but are pearls fashionable right now? Thats something that you would have to take into consideration. How is the demand for what you are trying to sell? If its not very big, you will struggle as a salesperson. Something that I think is pretty cool about Vantel Pearls is that the pearls are real! Naturally this causes the price of their jewelry to be quite a bit higher than jewelry that contains fake pearls. Again this is something that can be a negative depending on who your trying to sell to. 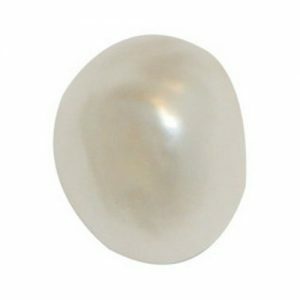 Visually a fake pearl is almost indistinguishable to a real pearl. 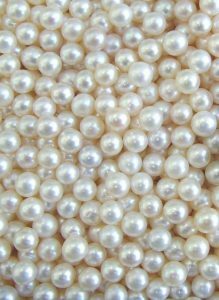 I think a lot of woman, particularly young woman, who are on a budget might settle for fake pearls opposed to the more expensive Vantel Pearls if it means saving quite a bit of money. I think the products can sell, but to what degree depends on you. The problem with multi-level marketing (MLM) systems is that most sellers will see success in the beginning then slowly but surely sales and interest will wane. This is because in the beginning you will have friends and family who will make purchases in hopes of supporting you on your new endeavor. But eventually the support will dwindle. After all, how much pearl jewelry can you expect your friends and family to buy? This is where its important for you to have a ‘deep bench’ of acquaintances so to speak. Once you run through that first layer of close friends and family, its time to reach deeper into your arsenal and start holding parties with more distant connections. Honestly this is where most people struggle with MLM. Outside of close friends and family, your average person doesn’t hold a vast list of connections. Consistency is key with MLM if you hope to make money with Vantel Pearls. From what Vantel claims, the average gross sales from a single party is around $600. This would equate to $150 worth of commission for you. Its important to keep in mind though that averages like this are taken from distributors who made money with their party. If a distributor makes very little money or fails to make a sale entirely, those numbers aren’t factored into this ‘average’. So basically that $600 per party figure is a bit misleading. Vantel Pearls commission – What do the numbers say? Taking a look at Vantel Pearls commission, I’d say the numbers are pretty fair. A base rate of 25% commission on all retail sales that are made per month. This jumps up to 30% commission if you achieve a higher level of success and make over $4000 worth of retail sales per month. As with all MLM programs, the idea is for you, the distributor, to recruit additional distributors into the program. By doing this, you open up additional avenues of income for yourself within the program by gaining commission from your recruited ‘consultants’. 24% or 34% commission rate depending on whether your hitting that $4000 sales per month mark or not. Not only that, but you will receive 4% commission on each of your recruits sales as well. So naturally the more people you recruit the greater income potential you have. I wouldn’t say its too good to be true, but its very difficult to achieve success with this basic MLM format. Tons of people get really excited about making money with these types of programs, only to be disappointed when it turns out to be much more difficult than they anticipated. Sure you can probably make a few commissions in the early going selling to friends and family. But how is the long term outlook? For most distributors they fail when they run out of close acquaintances to sell to. You might be able to recruit a few friends into the program, but how successful will they be? After all, if they are in your circle of friends, chances are a lot of the people they would invite to one of their parties has already been to yours. Most people are well aware of the MLM system by now. From Tupperware to make-up companies, most woman have been approached by sales reps and have heard countless sales pitches to buy products. This actually builds up a resiliency, and makes MLM distributors jobs much more difficult. Lastly, Don’t forget about start up costs. To get started with Vantel Pearls you will need some products to show at your parties. These starter kits cost from $99 to $199. Its also important to keep in mind the party costs. Little things like food and refreshments can really add up. Is Vantel Pearls a scam? No, but that doesn’t guarantee success with the program. I’m really not a fan of MLM programs. They have been around forever, and you rarely hear of anyone achieving financial success with them. In my opinion the internet has made these types of programs almost obsolete. Its just so much easier and CHEAPER to go online and buy pearl jewelry from the comfort of your own home. Consumers are getting much smarter. They know most products can be found online for much cheaper than what a salesperson will try to sell it to you for. Part of what I do here at The Wealthy Bum is give my opinion and advice on various making money programs. If I don’t think a program is worth your time I like to suggest an alternative program that I believe in and make money with. So check out the program that is my #1 Recommendation for making money online. The best part? Its FREE! Crowdology Review – $10 Per Survey? In Your Dreams!